In Respect of the Owner from the Model (SIMBIN) You need for installing this Mod, the GTR2 Game installed, or the original GTR2 CD/DVD in any Drive! FactorGameDataVehicles Folder first!!! Delete all the "Biturbo_Porsche_Allrad_Liga" and "Biturbo_Porsche_Cup" Files in the rFm-Folder! If You have installed Version V5 or V5.1, You can overwrite! Press setup.exe for install the Version V5.1. Follow the Instructions. If You use own Skins, you can replace them after the Installation from V5.x, so save them first. All Cars are at the same Time usable, while all have the same Physics. 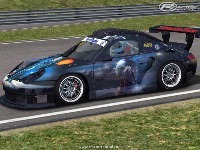 Group one are Porsche_996GT2 Cup Cars in 3 Styles, 20 Colours and same Design. 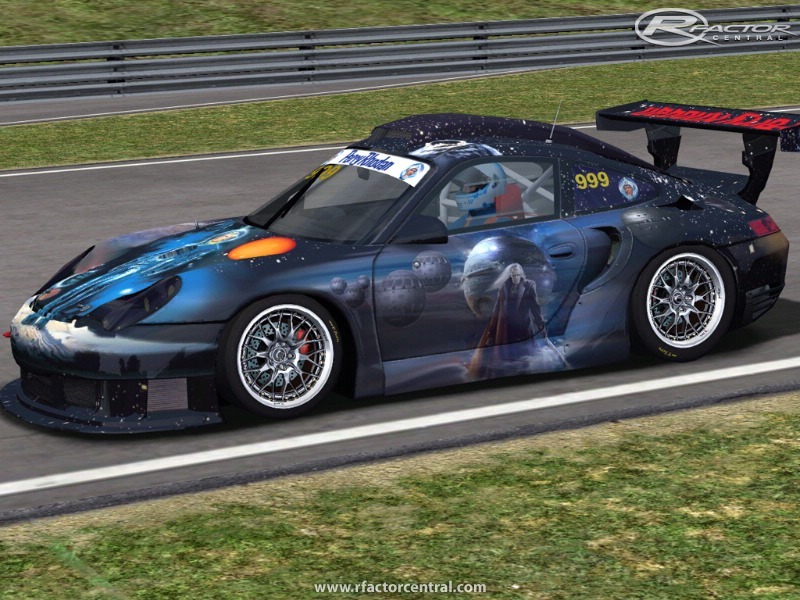 Group two are Porsche_996GT2 current 49 of the finest paintings for this BiTurbo Mod. Take a Look in the Upgrades Section, You can use many different Parts in the Cockpit and Sounds! 60 Helmets; Wheels, Roof scopes and Horns. Move the File back, and You'll see the Roofscoop again. This Car has no Rev Limiter! Don't drive this Car to strong, or you will blow up Your Engine. The Red Zone of the Tachometer is forbidden Terrain! Livetime of the Engine is only dependent of the Drivingstyle, no random Variable is used! re - setting Sound for my Cars. Please don't use anything from this Mod without my Permission. For more please Read the Readme. Why on earth would you put a password in it? This is great mod.Still can't believe how brutal acceleration is. 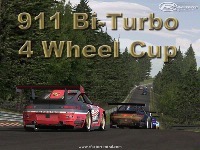 go to a original rF-Car and copy that Entry in the Bi-Turbo .gen! Be sure you have the right headlight2.tga or similar in the Bi-Turbo Vehicle Folder beside the .gen! 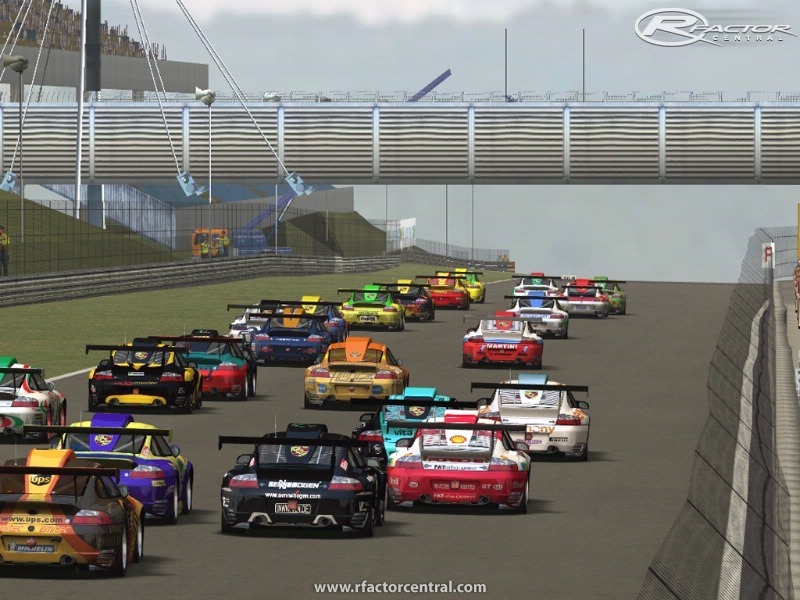 You'll find them in the cmaps.mas in rFactor Vehicles-Main-Folder! If you nee, go to rFator-side and download the Mas-explorer for extracting the cmaps.mas.